When searching for the best women’s boots for snowshoeing, keep several qualities in mind. Consider the heaviness of the shoe. A heavier boot, which tends to be warmer, will work well for a long journey in extremely cold weather, or for snowshoeing during a snowstorm. On the other hand, a lighter boot will allow you to move more easily and with more comfort. Try to find a balance of the two; linings like Thinsulate and other synthetics can give you a boot that is lightweight but still keeps your feet warm. In addition, the best snowshoeing boots for women will be waterproof to keep moisture from seeping in. The sole of the boot should be flexible enough to allow for a range of movement, particularly at the ball of the foot. 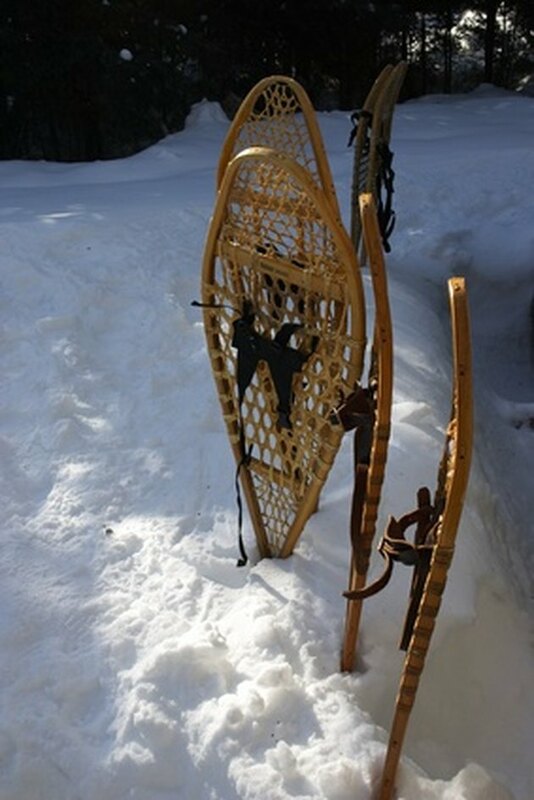 Most insulated winter boots or waterproof hiking boots will work fine with snowshoes. Purchase the correct size of snowshoeing boots. While many people try on boots with regular socks or the tights provided by the store, trying the shoe on with a pair of extra-thick socks, or whichever kind you use while snowshoeing, will provide you with a better fit. Layering can help protect your feet from the cold. Using the proper kind of sock can also help you find a good balance of protective but warm boots; by layering your socks with a wicking material closest to your skin and thicker socks as you go out, you can opt for a lighter, but still waterproof, boot. Purchase your snowshoe boots in person, from a trusted retailer. REI has a variety of stores that will allow you to try on your boots and can special-order products that are not in stock in your size. Their salespeople, who consistently know about the products they sell, can also suggest alternatives if you can’t find a boot that you like. Sierra Trading Post also has an excellent selection of snowshoeing boots, often at a discount. However, they only have outlet stores in addition to their website, making them a good bet for re-ordering your shoes but not a good idea for your first pair of snowshoe boots. The best women’s boots for snowshoeing will cost slightly more than an average pair of winter boots, which tend to cost around $50-$100. For the best pair of snowshoeing boots, expect to pay between $70 and $200. As the prices climb, the technology of the boot also tends to improve, with more high-tech linings and materials. Wear knee-high gaiters to keep snow out of your boots.